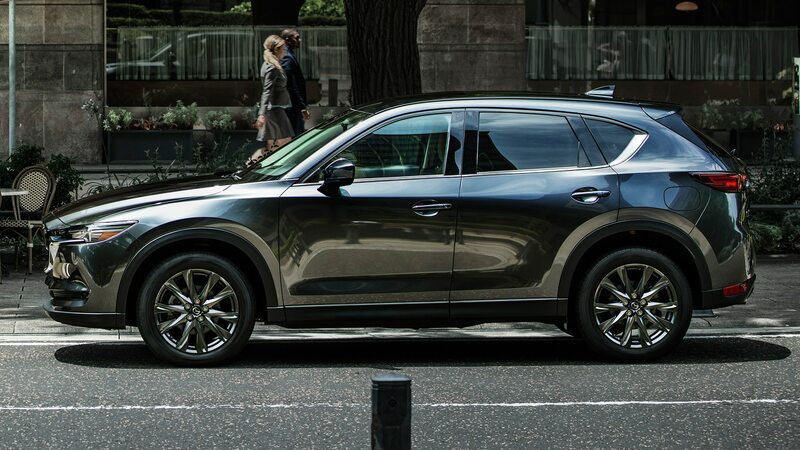 Mazda has confirmed key information about the CX-5 we learned last month from a leaked product bulletin. 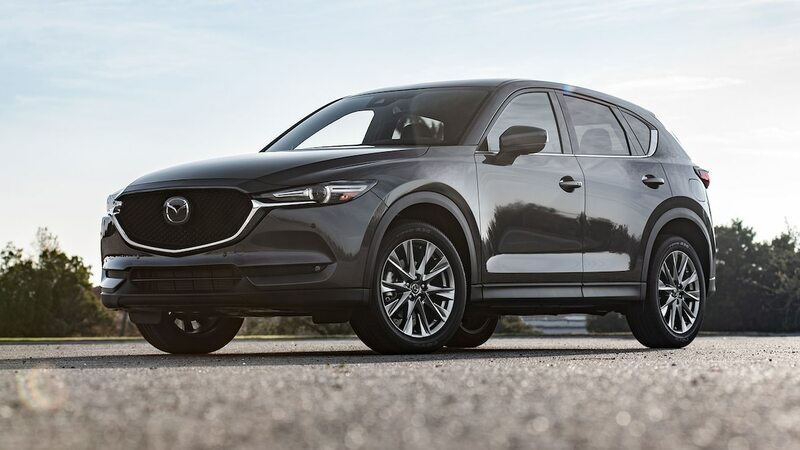 The Mazda CX-5 will indeed get a new top-of-the-line Signature trim, as well as a 2.5-liter turbocharged engine. 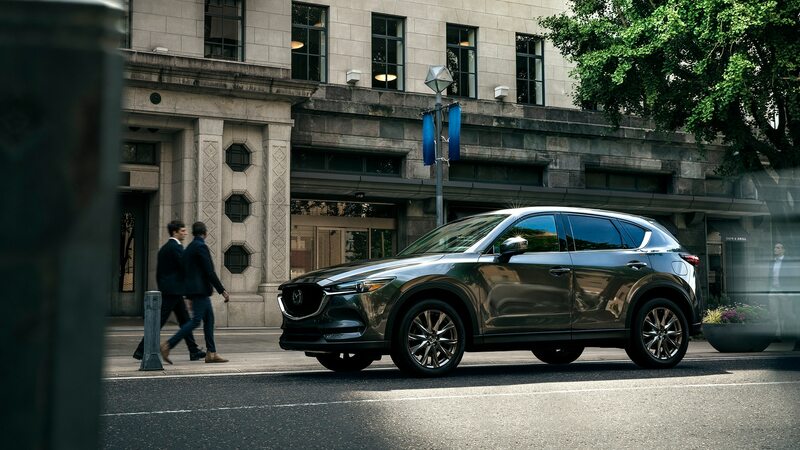 The 2019 Mazda CX-5 Signature debuted today at the Seattle auto show, packing the turbocharged engine and six-speed automatic found in the CX-9 and Mazda6. As in other models, the 2.5-liter turbo-four produces 227 hp (or 250 hp on 93-octane fuel) and 310 lb-ft of torque. 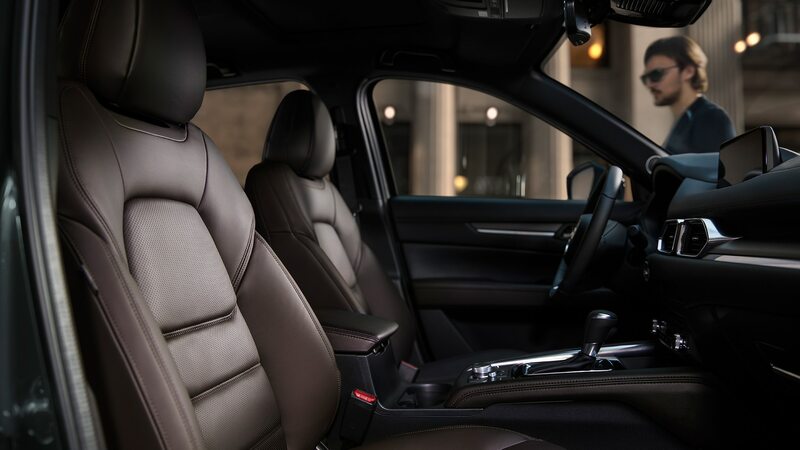 The Signature also receives Caturra Brown Nappa leather, genuine wood trim, ambient LED lighting, a surround-view monitor, and both front and rear parking sensors. 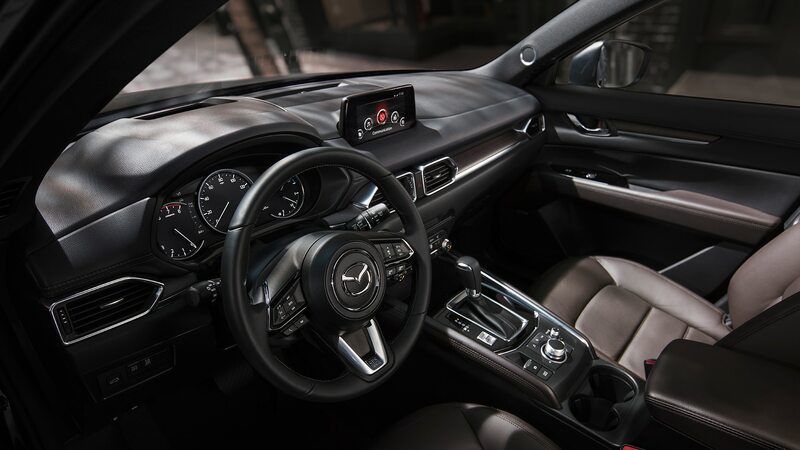 Mazda has also confirmed a head-up display, 7-inch TFT gauge display, and ventilated front seats are coming to the CX-5. 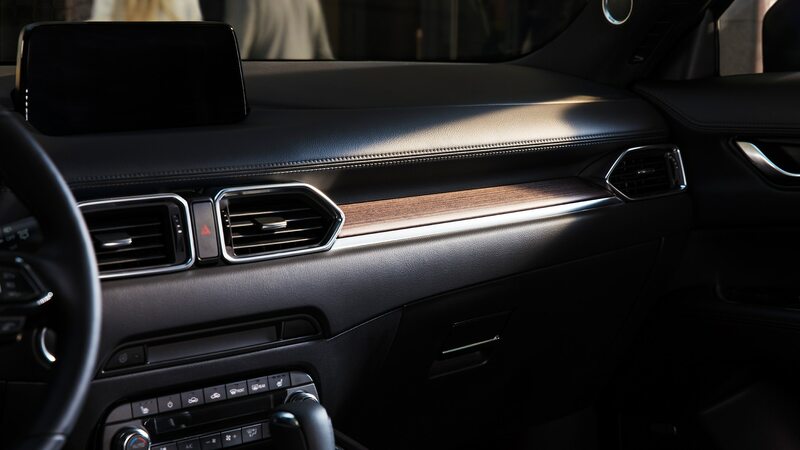 Apple CarPlay and Android Auto join the lineup. 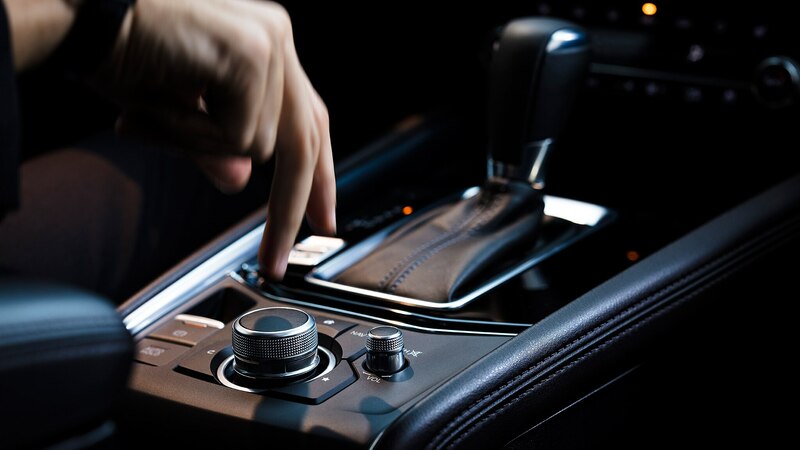 Mazda has updated its G-Vectoring Control feature, too. Dubbed G-Vectoring Control Plus, the updated feature uses the brakes to add direct yaw moment control, enhancing stability on corner exit. 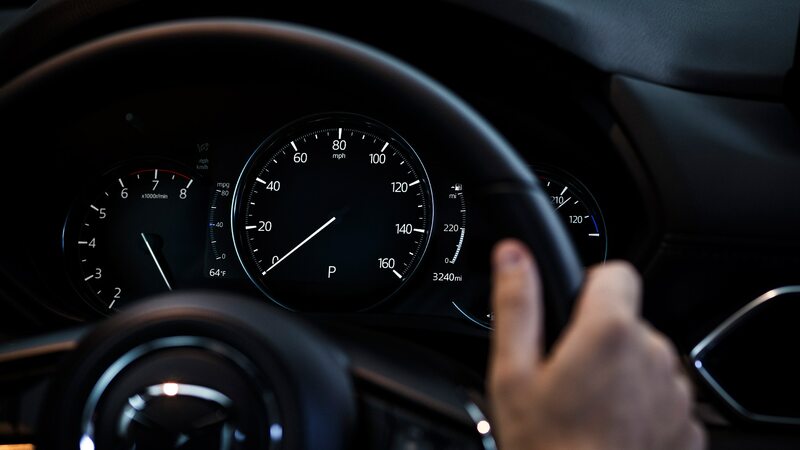 Mazda says it has also made improvements to both the suspension and steering systems. 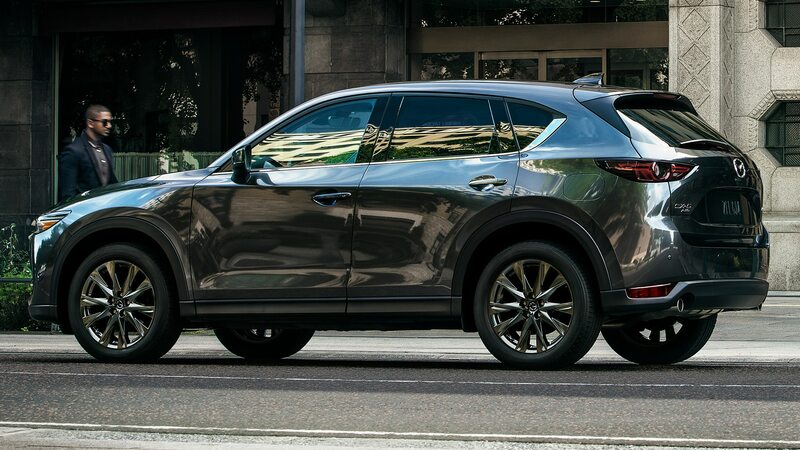 As we learned last month, Mazda will stick with a naturally aspirated 2.5-liter engine on the Sport, Touring, and Grand Touring trims. The new Grand Touring Reserve will slot beneath the Signature and will share the turbo engine. 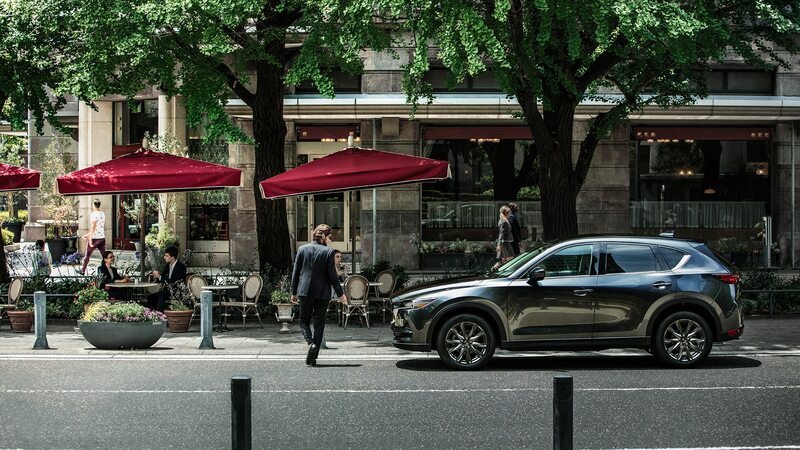 The 2019 Mazda CX-5 goes on sale this fall, so expect more details soon. Preorders commence immediately, so hop to it! 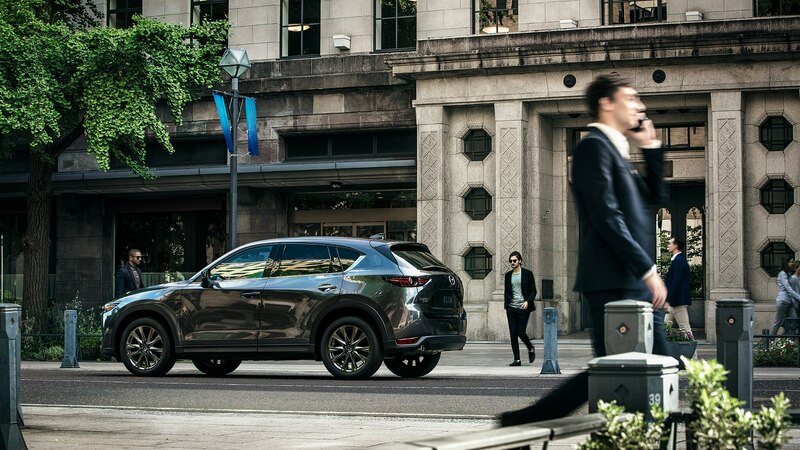 The excellent CX-5 crossover is even better under pressure.